It’s hard to merge new home décor products in your interiors. 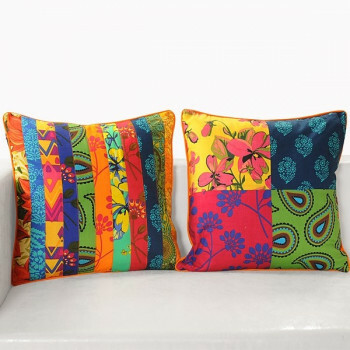 They need to be of perfect design and color according to the concept of your home décor unless you have these beautiful cushion covers. 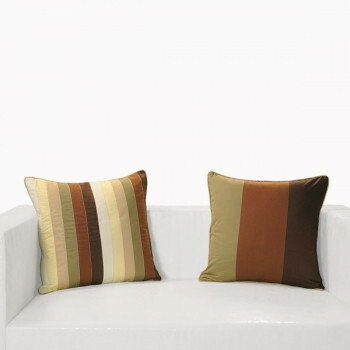 These modern cushion covers are designed in a style to enhance your home décor. The colors are also specifically incorporated to merge with the design of home. An ideal home maker always want to make his home unique an attractive, but you don’t have to be a home maker to get this look in your home. You can achieve a bright and attractive look just with the use of cushions covers. These special covers are designed by experts to meet the modern trend. They comprise of many colors and designs which are merged together to attain a completely new design. Colors have the ability to give live to any home furniture or décor. It makes the place bright and lively where you can feel the excitement. They have the ability to transform the look of your space which imparts a sense of modernity. To help homemakers improve the elegance of their space, many colorful home décor products are designs. If you want to bring a change in your old style of living, you don’t have to buy new furniture or a lot of attractive home décor products. You just need and ideal cover so that you can conceal your cushions and create a better living space. These covers are designed with extreme intricacy according to the modern concept. The modern age has brought great change in our lives and also our home décor. 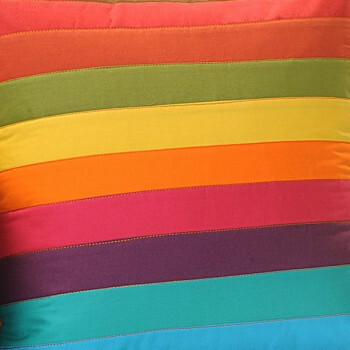 New and improved home décor products are develop every second out of which cushion covers rank at the top. 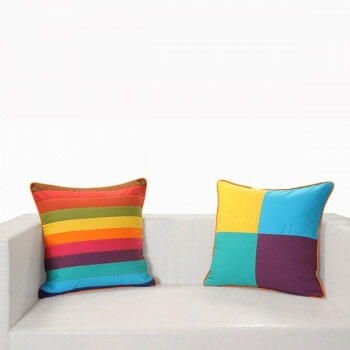 These cushions covers are ideal for your home as they have a versatile use. You can place them anywhere you desire as they have the color and style to match every home interior. People always need new and trendy things be it clothing or home decor products. To meet the desires of home makers of this modern generation many new designs of cushions covers have emerged, one being patchwork cushion covers. 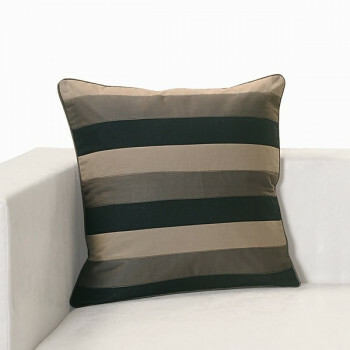 They are the best any modern cushion covers can get as they have an authentic appearance which is distinctive. 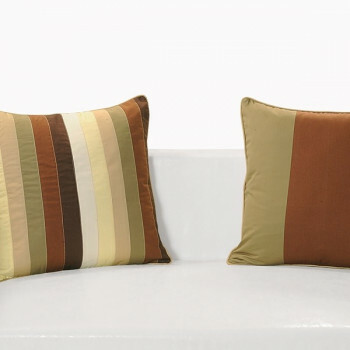 Your home will impart a completely new and modern appearance as you cover your cushions with these beautiful covers. 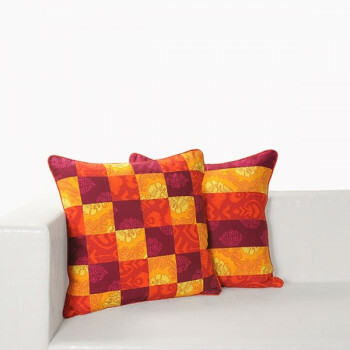 Buy patchwork cushion covers from our online shopping portal swayamindia.com and take your home to perfection. 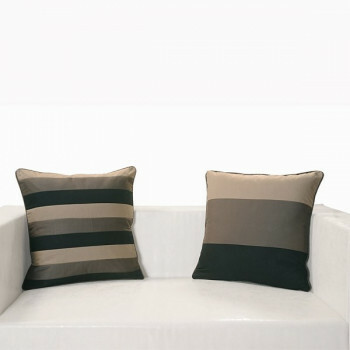 This distinct feature in these luxury cushion covers is attained by combining many pieces of fabrics together. Fabric in different colors and designs are merged together to get a completely new design. Some of them are made with printed fabric and some are made by merging different shades of fabric. They look absolutely beautiful as they are precisely stitched according to the leading trends. 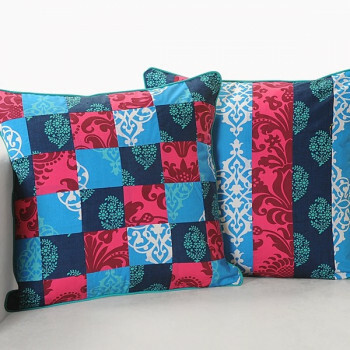 The two sides of these decorative cushion covers have a different look as they are reversible. One side is stitched in stripes and the other is stitched with either broader stripes or in checkered patterns. 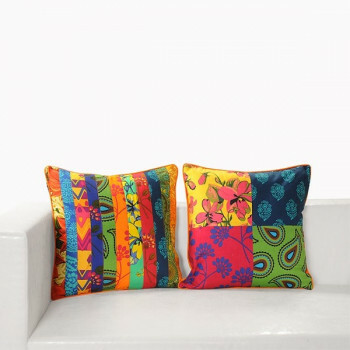 They are ideal for any concept of home decor as they comprise of many printed designs and colors. 2 or more designs are combined together for this modern appearance. Anyone who looks at your cushions will be fascinated by elegance and sophistication. The beds quality cotton fabrics are brought together and stitched with extreme intricacy which makes these covers soft and smooth to touch. You will have a calm and comfortable time when these cushions are around. You can spend your entire day cuddling, sitting and sleeping on them without any discomfort or skin irritation. 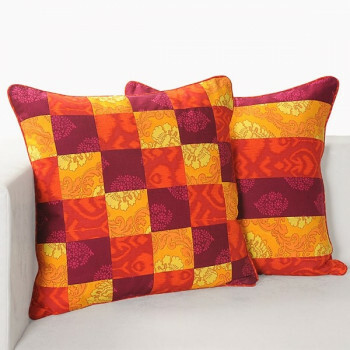 Buy patchwork cushion covers from our online shopping portal www.swayamindia.com and make your bed, sofa and diwan the best places to relax. Washing these covers is not a problem at all as they are colorfast and are firmly stitched. You can wash them in a washing machine using cold water. 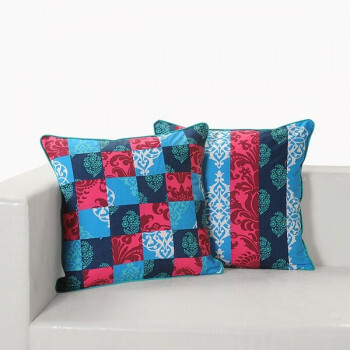 These beautiful and tough decorative cushion covers will give a striking look to your home decor for a long time.